Kotlin has already been here for a while. Over the past few years, this language has managed to win the trust and loyalty of many web and mobile developers around the globe. Kotlin has become especially popular in the Android community. It’s relatively easy to learn and, thanks to its concise and flexible nature, Kotlin makes it possible for us – Android developers – to build “healthy and performant” apps quickly. Finally (and perhaps most importantly), Kotlin can work together with Java and existing Android tools. This is exactly the topic we’re going to dive into today. This post is for developers who want to get started with Android NDK and want to know all the niceties of using it for developing in Kotlin. To see the whole picture, I suggest we start with the theoretical part. Then we’ll proceed to the practical part, with a detailed sample project written in Kotlin. 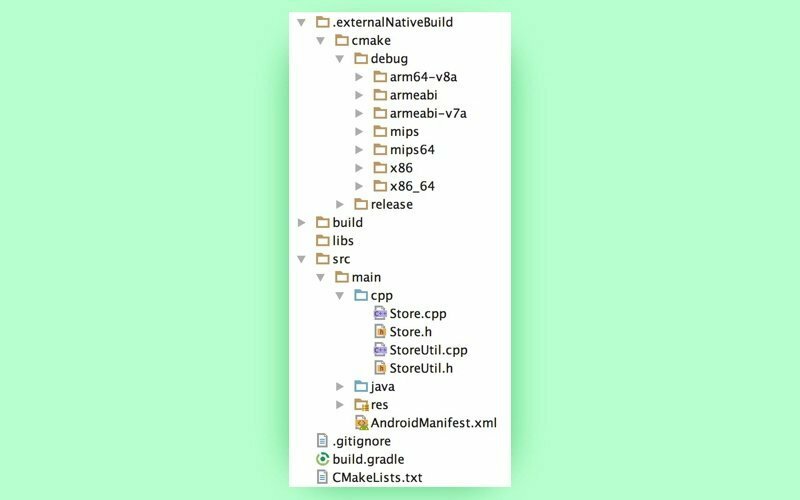 The Android Native Development Kit (NDK) is a set of tools that lets developers write parts of their apps in native code (C/C++), squeezing more performance out of devices and achieving better app performance. Why do we need the Android NDK? C/C++ code is compiled to binary that runs directly on the operating system, while Java code is compiled to Java bytecode and executed by the Java Virtual Machine. Native code allows developers to make use of certain processor features that are not accessible via the Android SDK. Critical code can be optimized at the assembly level. Used in conjunction with the Android SDK, the NDK toolset provides access to platform libraries that app developers can use to manage native activities and access physical device components such as sensors and touch input. It’s also possible to use your own libraries or to use popular C/C++ libraries that have no equivalents in Java (such as the ffmpeg library written in C/C++ to process audio and video or the jnigraphics library to process bitmaps). What exactly does the NDK include? The NDK’s default tools are a debugger, CMake, and the Java Native Interface (or JNI), which does all the heavy lifting – handles the interaction between Java and native code. The JNI defines how managed code (written in Java or Kotlin) communicates with native code (written in C/C++). How does this happen? Both managed code and native code have functions and variables. The JNI makes it possible to call functions written in C/C++ from Java or Kotlin, and vice versa. It also lets us read and change values stored in variables across languages. “Why can we apply the JNI to both Java and Kotlin?” you may ask. The answer is pretty simple: Java and Kotlin are interoperable to such an extent that they are compiled to the same bytecode. In fact, the JNI’s task is not to manage the interaction between Java/Kotlin and C/C++, but to manage the interaction between this bytecode and the native language. 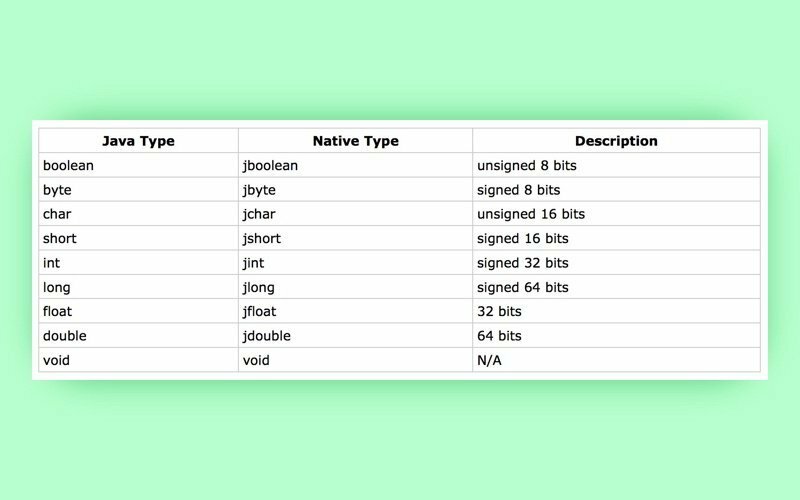 Since we always get the same bytecode regardless of which high-level language we compile, we can apply JNI to both Java and Kotlin. Now let’s look at the NDK in action. Download NDK, LLDB (a software debugger), and CMake using the SDK Manager. 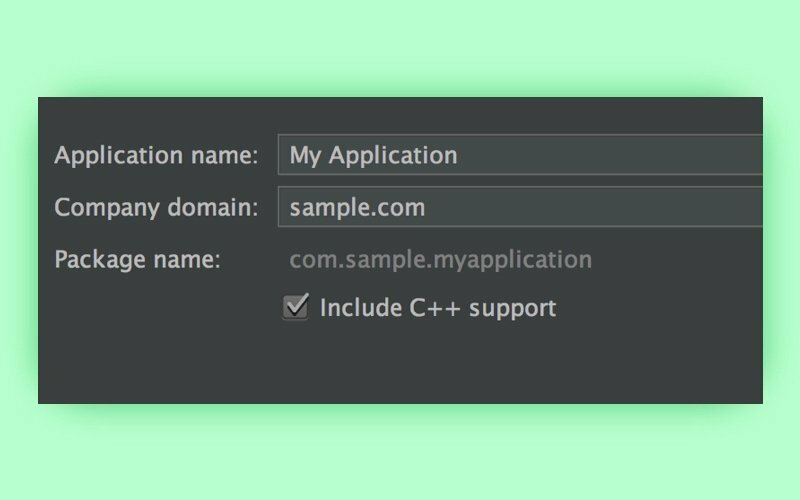 Include C++ support using the checkbox on the New Project screen. If you want to use some features like lambda or delegating constructors, you’ll have to use C++11. To do so, choose the appropriate item from the drop-down list on the Customize C++ support screen. Otherwise, the process of creating a new project in Kotlin is the same as with Java. To adjust your project to use Kotlin, you have to install a special Kotlin plugin. After that, press Ctrl+Shift+a and input the “Configure Kotlin in Project” command. To convert any Java file to Kotlin, open it and use the “Convert Java file to Kotlin” command. You can put your C/C++ source code in the cpp folder. CMake will generate the .externalNativeBuild folder. So what’s CMake? CMake is a tool that controls and manages the compilation process using a configuration file called CMakeList.txt. As you can see, our APK has an additional lib folder that contains folders for different CPUs, which, in turn, support different instruction sets. The thing is, the part of your app written in native code is usually packaged into a separate library (the lib folder, in my case) or into several of them. 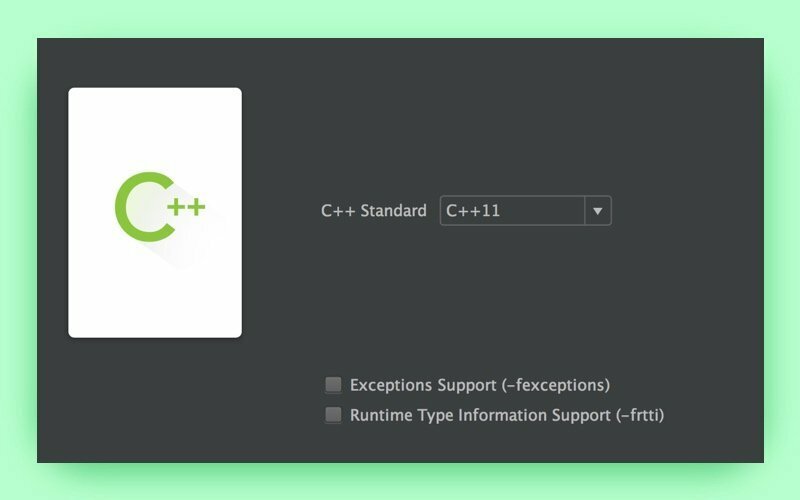 To get all of your native code gathered into such a library, you need to specify how CMake should package your C/C++ code. This is usually done with the help of the add_library function. The add_library function creates and names your library, declares it as either STATIC or SHARED, and provides relative paths to its source code. You can define multiple libraries and CMake will build them for you. 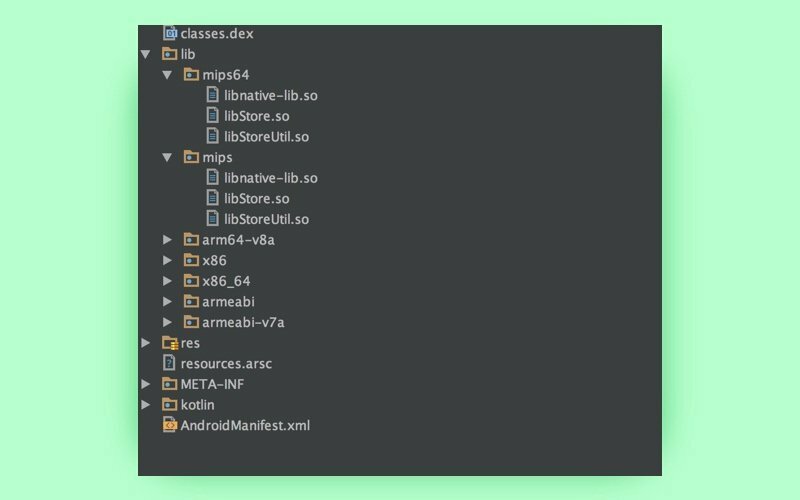 Gradle will then automatically package all shared libraries into your APK. You can use different third-party C/C++ libraries in your project. To integrate a library, use the find-library function, which retrieves the name and type of a library as well as a path. The find_library function searches for your specified prebuilt library and stores its path as a variable. We can now use the target_link_libraries function to specify libraries that CMake will link to our target libraries created by the add_library function. You can link multiple libraries (such as libraries you’ve already defined in this build script), prebuilt third-party libraries, or system libraries. In the build.gradle file, we can specify our extra cppFlags flags and define the path to CMakeLists.txt for CMake. There’s no need to manually create the CMakeLists.txt file, since it was automatically created during project setup. In C/C++, header files contain definitions of functions and variables. There are two types of header files: system header files (which come with a compiler) and user header files (which are written by a developer). Why do we need header files? You can then use these new data types and declared functions in your project. To add a standard header file, use #include <file>; for your own header files, you need to use #include “file”. This way the content from a header file will be copied to your *.cpp file. You may accidently duplicate one header file in one *.cpp file; as a result, you will receive an error message during compilation. To avoid this, you can wrap the header content in the #ifndef — #endif block. // Turns the Java string into a temporary C string. // final location. Then releases the temporary string. // Directly copies the Java String into our new C buffer. // Append the null character for string termination. Your native function needs to take at least two arguments – JNIEnv* pEnv and jobjectpThis. Roughly speaking, JNIEnv* is a pointer to a table that contains pointers to functions. It provides most JNI functions that are defined in the jni.h file. ThejobjectpThis variable is a class instance that contains this same function in Java code. In our case, it’s an object of the Math class. Enumeration (or Enum) is a user-defined data type that consists of integral constants. To define enumeration, we need to use the “enum” keyword. A union is a special data type in C that allows you to store different data types in the same memory location. You can define a union with many members, but one member can only store one value at a time. Unions provide an efficient way of using the same memory location for multiple purposes. A structure (or Struct) allows us to combine data items of different kinds. You can create instances of these data types in the *.h or *.cpp file. If you want to use a structure in different places, you should place the structure in the header file. Otherwise, it’s possible to choose *.cpp for creating new data types and declaring functions. In computer science there’s a term “hardware word”. A hardware word is a fixed-size piece of data that’s handled as a unit by processor hardware, usually occupying 32 or 64 bits of memory. The RAM in a computer is like a succession of cells, each one hardware word in size. The pointer in C/C++ is a variable that contains a unique address to each cell of memory. As you can see, to get a pointer to some variable you have to use &, and declare this pointer you have to use *. Each pointer also occupies a cell and has a size equal to the hardware word, so you can also create a pointer to a pointer. There are several nuances of dealing with pointers to Java objects though. For example, a pointer to a Java object in your native code may be invalid. Unlike С/C++, Java objects don’t usually have a fixed location in memory because they move around within memory all the time. If your Java object moves to another memory location, a pointer to that object in C/C++ will still point to its old location in memory. What I’m driving at is that it’s not advisable to have a lot of pointers to Java objects in our native code. To work with your jobject, you have to create a Local, Weak, or Global reference to it. As we know, JNIEnv* pEnv provides most of the JNI functions, including jobject NewGlobalRef(JNIEnv *env, jobject obj),jweak NewWeakGlobalRef(JNIEnv *env, jobject obj), and jobject NewLocalRef(JNIEnv *env, jobject ref), which creates references of an appropriate type (see the reference type in the JNI section). Here we have a pointer to the JNIEnv* pEnv structure. If you want to refer to a member of this pointer, you have to use the arrow operator (->). Local references are only valid during a native method call. They are freed automatically after a native method returns. Each local reference occupies some amount of Java Virtual Machine resources. Programmers need to make sure that native methods don’t excessively allocate local references. Although local references are automatically freed after a native method returns to Java, excessive allocation of local references may cause the JVM to run out of memory during the execution of a native method. Weak global references are a special kind of global reference. 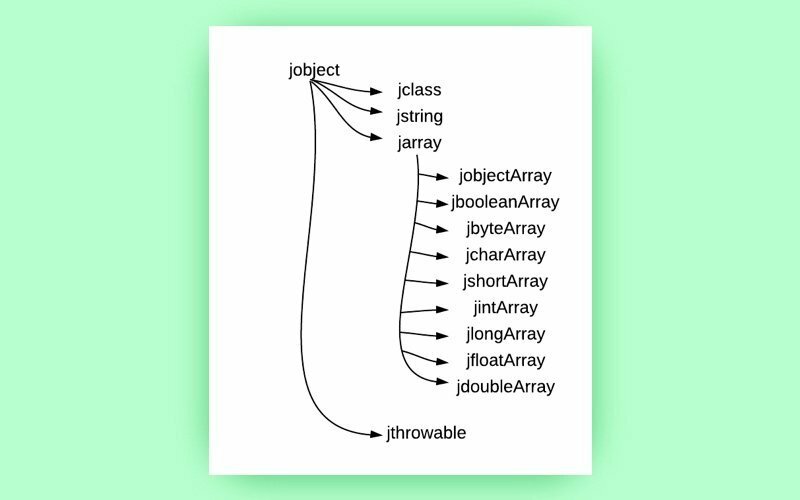 Unlike normal global references, weak global references allow the underlying Java object to be garbage collected. Weak global references may be used in any situation where global or local references are used. When the garbage collector runs, it frees the underlying object if the object is only referred to by weak references. A weak global reference pointing to a freed object is functionally equivalent to NULL. Programmers can detect whether a weak global reference points to a freed object by using IsSameObject to compare the weak reference against NULL. Weak global references in the JNI are a simplified version of Java Weak References, available as part of the Java 2 Platform API ( java.lang.refpackage and its classes). Global references allow native code to promote a local reference into a form usable by native code in any thread attached to the JVM. References of this type are not automatically deleted, so the programmer must handle memory management. Every global reference establishes a root for a referent and makes its entire subtree reachable. Therefore, every global reference created must be freed to prevent memory leaks. There are several functions to delete different types of references: void DeleteLocalRef(JNIEnv *env, jobject localRef), void DeleteGlobalRef(JNIEnv *env, jobjectglobalRef), and void DeleteWeakGlobalRef(JNIEnv *env, jweak obj). Now you have some basic theoretical knowledge that’s enough to start using C/C++ in your projects. I’ve decided to create a sample project that contains a simple in-memory storage module written in C/C++. To encapsulate all native functions, I created a Store class. All these methods have their corresponding native functions in the Store.cpp file. In the CMake section, we learned how to use the add_library function to create a shared library. You can load your native code from shared libraries with the standard System.loadLibrary call. At this time, the method JNI_onLoad is invoked. You can use this method to initialize some variable. Our CMakeLists.txt file also contains the target_link_libraries call to add a library to log to the project. We can include this library (#include <android/log.h>) in the *.cpp file and log an event: __android_log_print(ANDROID_LOG_INFO, __FUNCTION__, “onLoad”). Note that in Kotlin we use the init block of a companion object instead of the static block; we also use an external keyword instead of a native. This simple in-memory storage module that can be used to pass some value – primitive data type or reference data type – from one activity to another. This storage works similarly to IBinder by creating a global reference to a Java object. Today, we’ve learned how to make Kotlin communicate with C/C++. Kotlin can call C/C++ code with any type of data or objects. We started with a bit of theory and then created our sample project based on it. We converted Java strings inside native code, passed Kotlin objects to native code, called functions, and threw exceptions in Java. Kotlin is a new official tool for Android Development, and this article demonstrates that this programming language works with the Android NDK without any difficulties. In our second article, we’ll find out how to call Kotlin from native code.